A year after graduating from high school, nineteen-year-old Emma Ward feels lost. She has spent most of her life trying to please her frigid, miserable mother – studying hard, getting good grades, avoiding the whole teenage rebellion thing – and now she feels she has no identity beyond that. Because she spent so many years working hard and planning every moment of her life, she doesn’t have any friends, has never had a boyfriend, and basically doesn’t know who she is or what she really wants from life. Working two part-time jobs to save money for college hasn’t helped her make decisions about her future, so she decides it’s time for a change. She leaves home to live with her free-spirited, slightly eccentric Aunt Daisy in a small town that makes Emma feel like she’s stepped back in time. Where do you find your inspiration? Life, love, art, family, music, travel, books. What is your favourite aspect of Blue Sky Days? The love story. Emma and Nicholas make my heart happy. Who is your favourite character from Blue Sky Days and why? Emma. She learns and grows and changes so much. What do you love about most about writing? The creative outlet, freedom, and simply the act of writing. 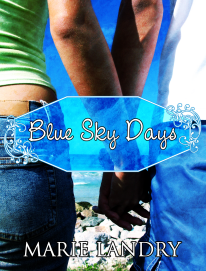 This entry was posted in Events, May 2012 - Indie Author Event and tagged author bio, blue sky days, buying links, interview, marie landry, website. Bookmark the permalink. ← Welcome to Indie Author Month! 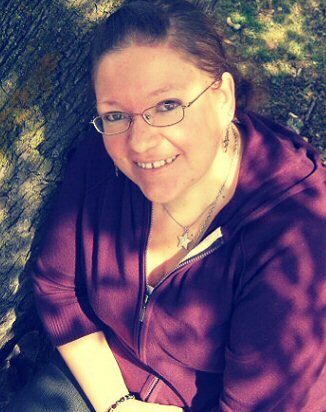 Thank you so much for featuring me, and for doing this amazing spotlight on indie authors! Sounds like an awesome book. I have to add this to the summer reading list. This sounds so sad 😦 But also good!